Can you believe it- the official start of the summer season is only days away. Now certainly is the time to think al fresco. Think summer and refresh and renew those underused outdoor spaces with these outdoor decor ideas. 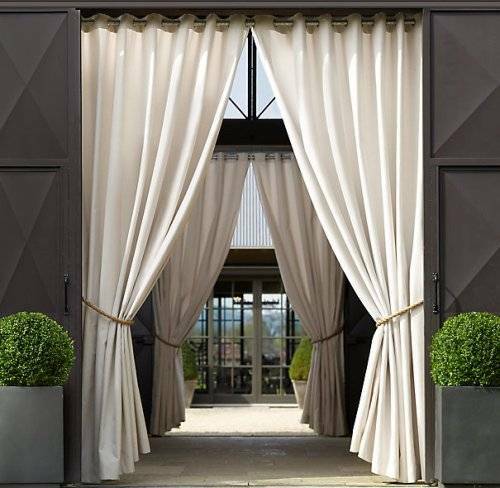 Outdoor Draperies: Create intimate spaces within the yard, frame a beautiful view or block one if you feel as though you’re on stage every time you walk outside. This is a perfect example of bringing your style outside. 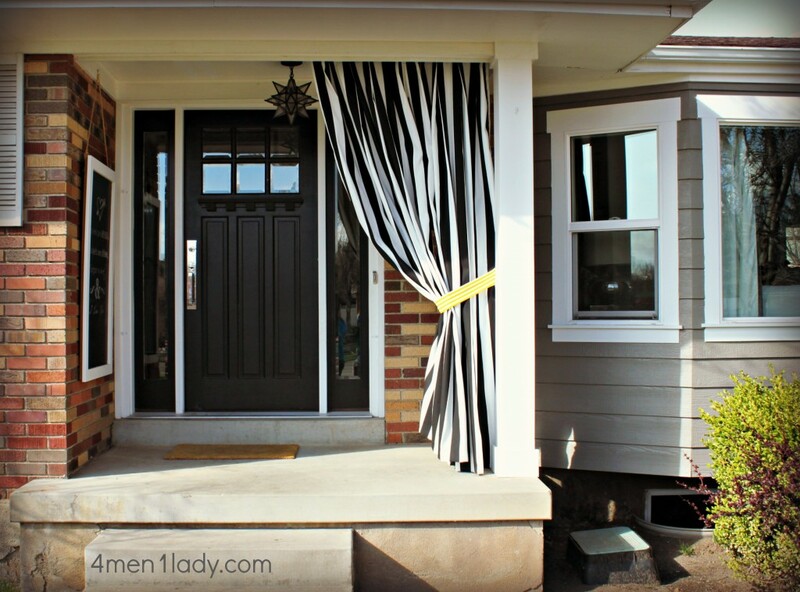 Scalloped valance and tiedback draperies crave out a dramatic back entry. 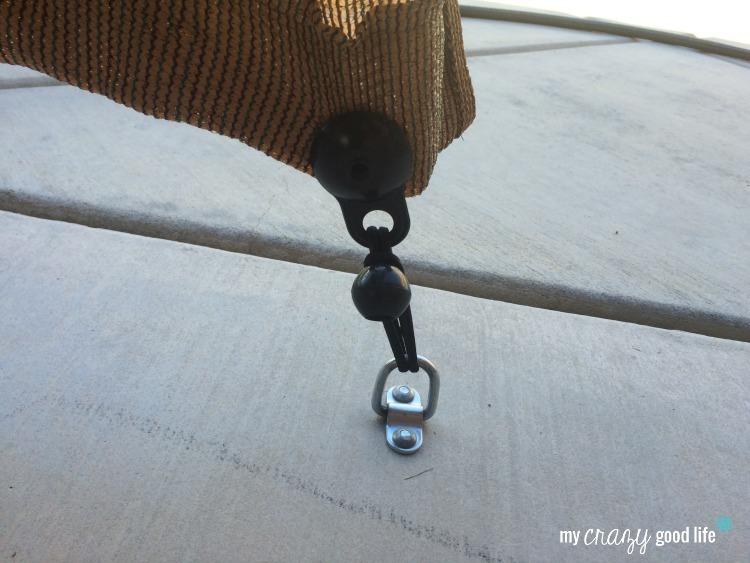 Whether you choose grommets, pleats or tab tops for your outdoor drapery heading; you need the correct hardware to hang it from. 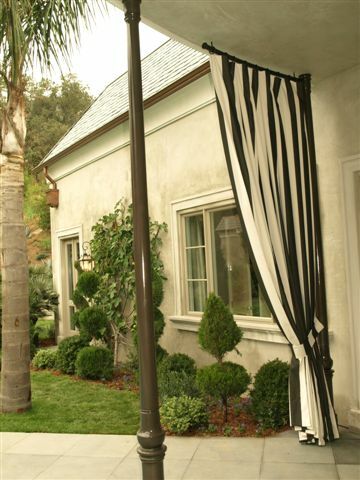 Who says you can only do draperies in the back yard? Get Creative: Do you want a frig or bar to make entertaining easy- peasy? Think summer kitchen. Wish that you had an extra bath to wash off those sandy or dirty feet before you come into the house? 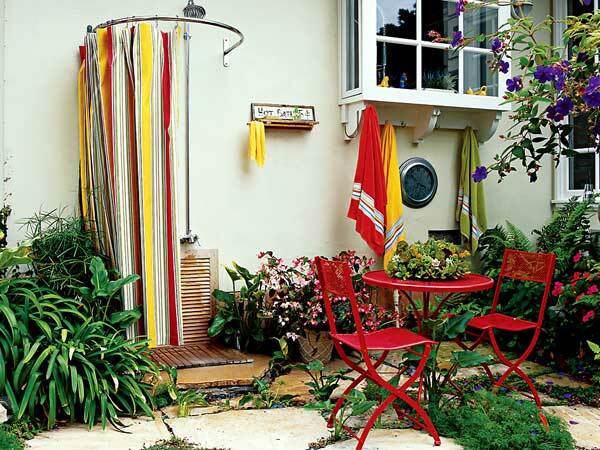 Think outdoor shower. 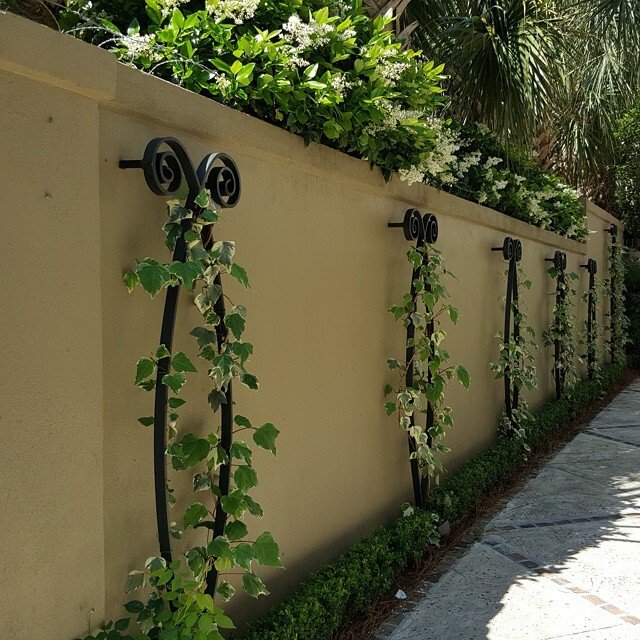 Our Italian or Iron Art collections can be custom bent to your specs; turning an outdoor faucet into your own private shower or hang one of our custom bent poles from a tree to craft a secluded sanctuary. Need shade? Use architectural track with cubicle carriers run lengthwise across the space to be covered and fabricate a flat Roman shade with pockets that hold rods . 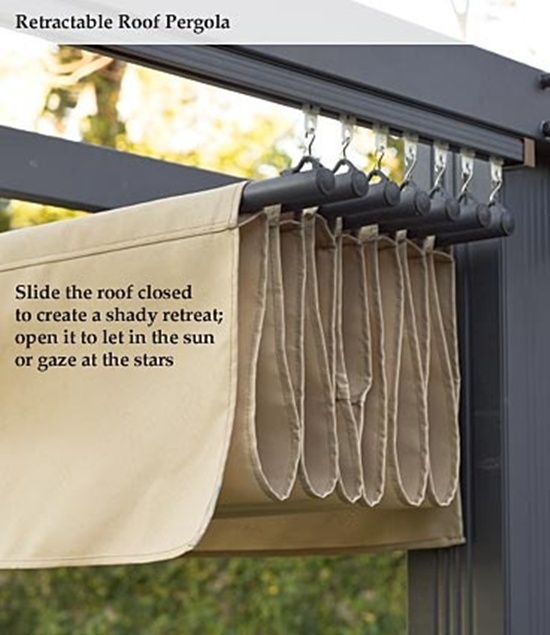 Attach to the carriers to slide the shade easily when needed. Scale the Space: One enormous couch in an area designed for a table and chairs will probably end up being a traffic hazard. 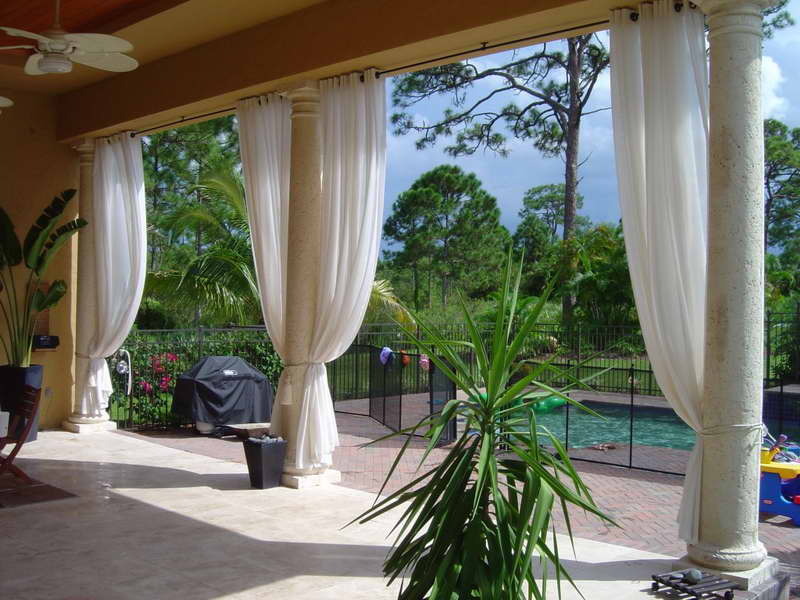 Make sure that the furnishings you choose for your patio keep the space open and easy to move around in. Proportion Rule #1- Height Reigns Supreme. Keep It All-Weather: Keep your patio looking good for longer than a season or two by choosing soft furnishings that are built to last outdoors. Choose cushion fills that repel moisture and resist mildew, and don’t forget fabrics that are UV-protected. 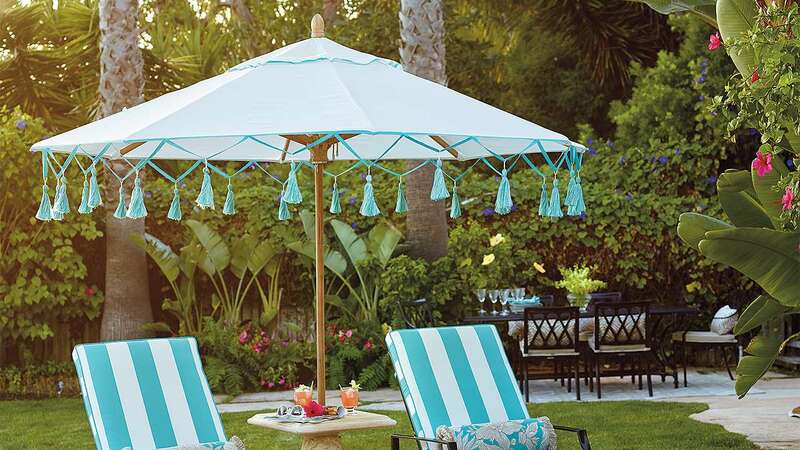 Sunbrella, Bella Dura and perrennials are a few brands to source. Finally no matter how much outdoor resistant your fabrics and materials are don’t fail to also choose the right hardware. 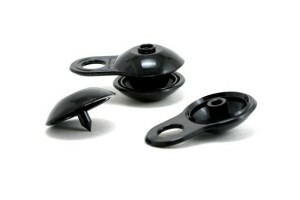 Orion outdoor drapery hardware is first powder coated, then hand painted in the finish of your choice. The final step is an outdoor sealant, giving the best protection against Mother Nature. The outdoor finishing process is applied to rods, brackets and rings, but can also be applied to our accessories like batons and tiebacks, and even bent or arched rods. 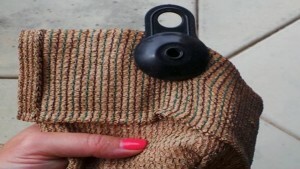 Attach the plastic grommets to the hem and bungi to a “D” ring screwed into deck or patio. 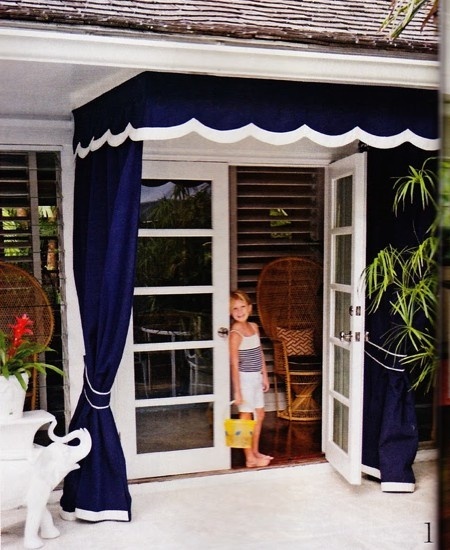 •Retractable awning: This modern shelter allows you to shade your porch and keep it dry during a storm, but you can also retract it to enjoy the sun’s rays. Motorization is also available for hard to reach or specialty installations. •Sail shades: They’re flexible enough that you can attach them to anything from the side of a house to a tree, and they come in many sizes, shapes and colors to fit any budget and style. 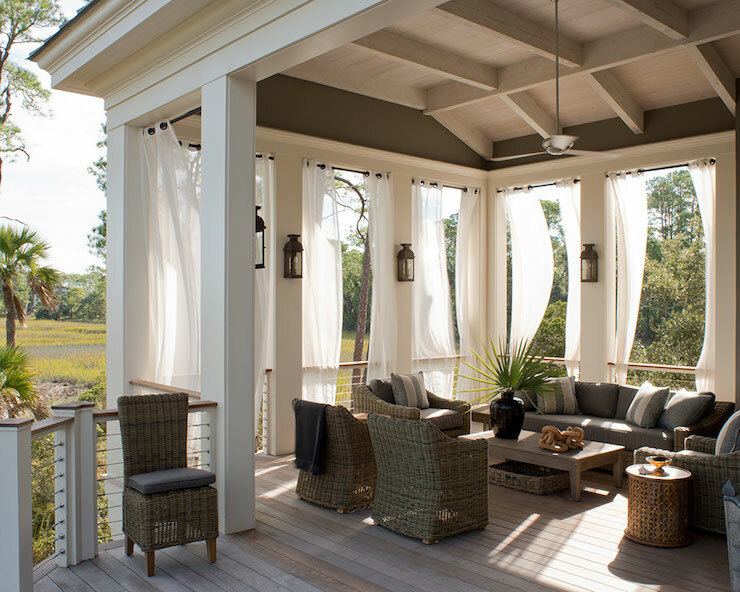 •Umbrella: This back-porch classic is both decorative and functional. 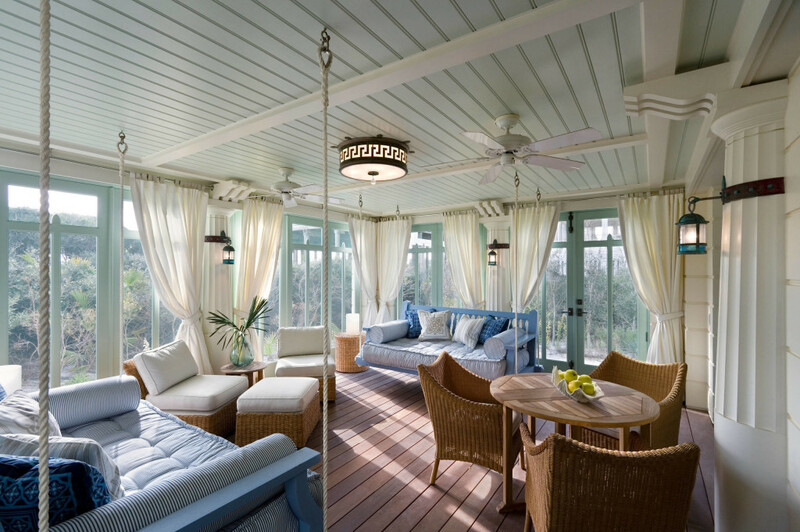 Outdoor living should appeal to the senses and help relax and refresh you. When dealing with outdoor spaces, texture is your friend. 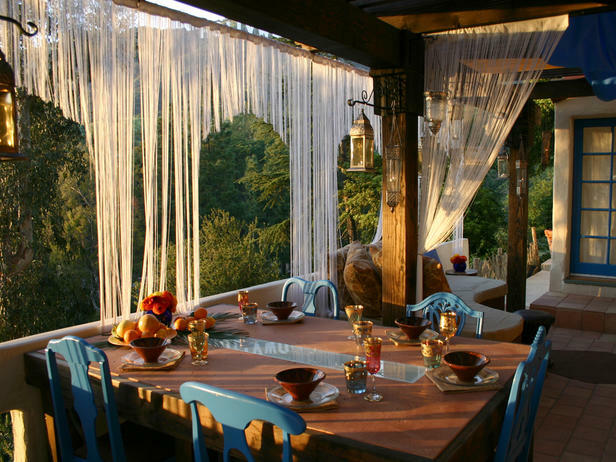 Lattice work, pots made of unusual materials like hypertufa, bamboo curtains and wrought iron all help create an interesting mood. Use Orion’s Crown or Burgundy collection as vine trainers. Lavish color is also always an enhancement to outdoor spaces. If you’re dealing with a plain Jane environment, brighten it up with painted benches and some colorful throw pillows. 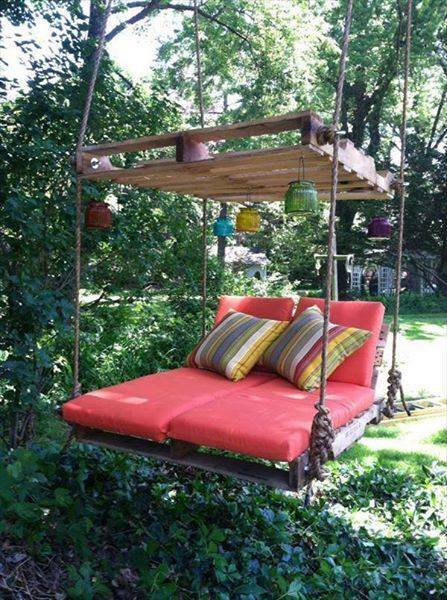 Who knew that with 2 pallets and some rope could create this endearing outdoor swing. Dreaming of an exotic vacation? 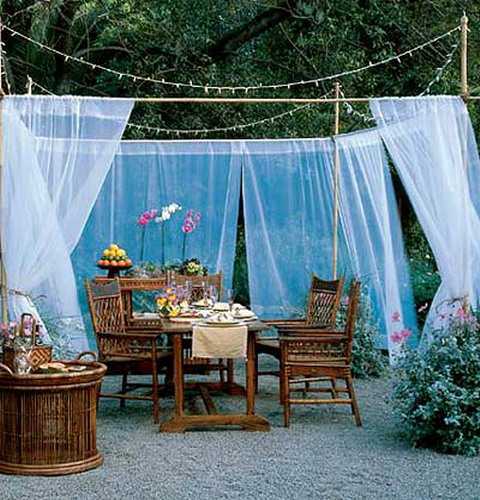 Create an outdoor space that evokes your fantasy place. 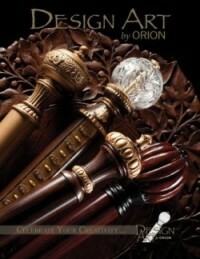 Images via My Crazy Good Life, Wanda Suitt Horton, House beautiful, Pinterest, Orion Ornamental Iron, DIY Creative Ideas. 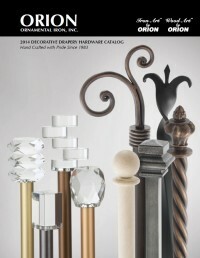 This entry was posted in Speaking of Design and tagged brackets, decorative hardware, drapery hardware, finials, iron art by orion, iron finials, iron hardware, iron wood, outdoor drapery hardware, poles, rods, wood finials, wood poles on May 18, 2015 by ironart.